Imagine the bride walking the last steps towards her future husband, as the sun bounces off her like a joyous dance, as she slowly approaches the ceremony while slow divine music plays in the background. A location so beautiful that the bride has to share her own beauty with the scenic surroundings, the clear waters and the golden sand of her destination wedding. Blue crystal waters surround the reception and perfection is all around. Her future husband filled with emotions while awaiting her arrival. Now let’s wake up for a moment and take a closer look at destination wedding or elopement in Fort Lauderdale, Pompano Beach or Boca Raton, Florida. These locations will take your guest's breath away leaving them speechless. Your destination wedding or elopement will remain one of the most important days of your life. The idea of getting married in a unique way that is different from most weddings is every bride and grooms dream. There are a lot of destination weddings that run into a lot of problems that the couple does not anticipate because no one told them that certain things could go wrong. Things go wrong at most weddings, especially at one that is not near a place that you are used to or a place where you are familiar with all the whereabouts of everything you might end up needing. However, there are many benefits if having a destination wedding or elopement. For one, you have less to worry about and you can let other people do the worrying for you. Ocean Ceremonies offers you the exact service that would suit your destination wedding or elopement. Taking some of your destination wedding or elopement worries away is what our main goal is when it comes to your big day. 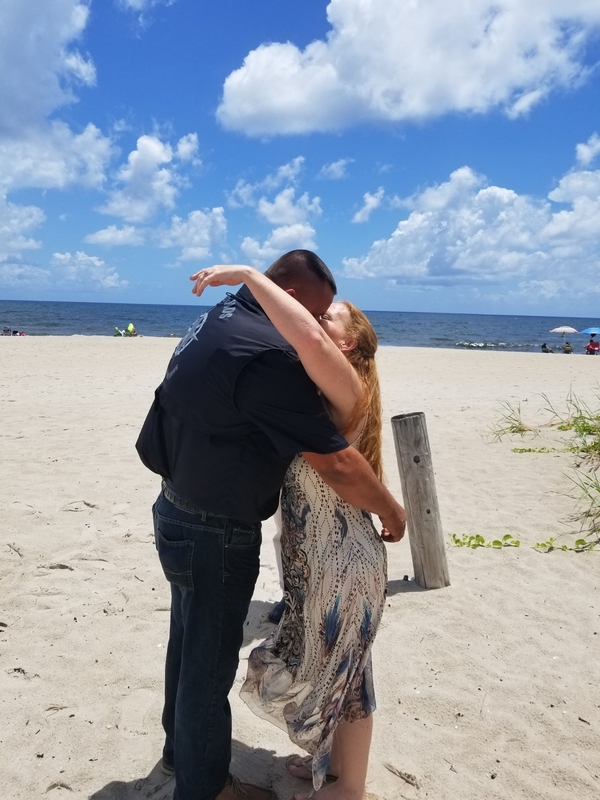 Fort Lauderdale, Pompano Beach or Boca Raton, Florida are perfect locations for your destination wedding or for your elopement. The many reasons to choose one of the two locations range from the beauty they bring to the fact that they offer exactly what a couple might be looking for in their destination wedding or elopement, a private gathering that gives off a warm and intimate vibe. 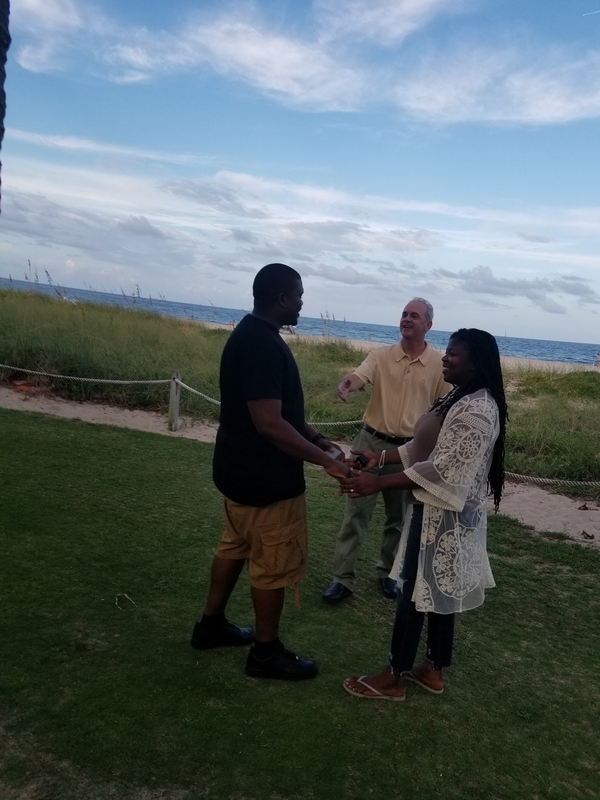 Another great reason to consider one of these locations for your destination wedding or elopement is the amazing weather during this time of the year. 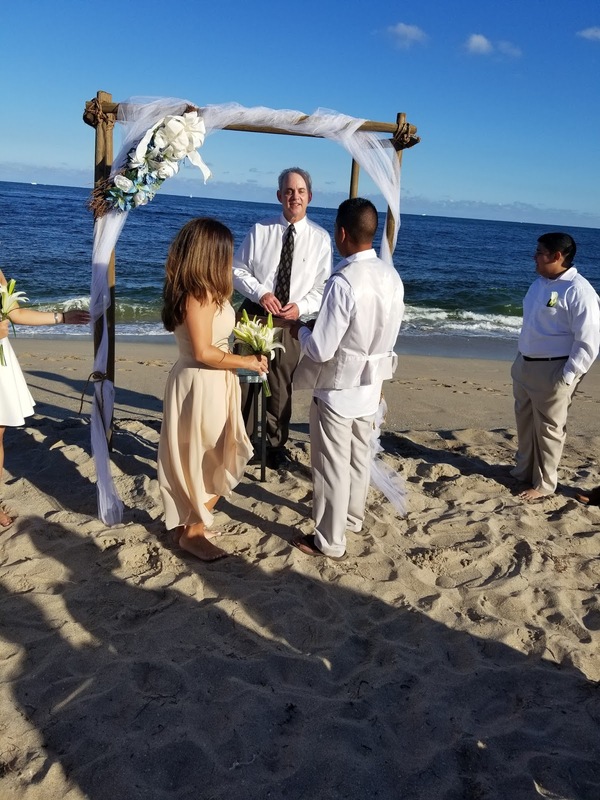 Besides having your location chosen for your destination wedding or elopement there is one very important part that must not be overlooked, the wedding officiant. 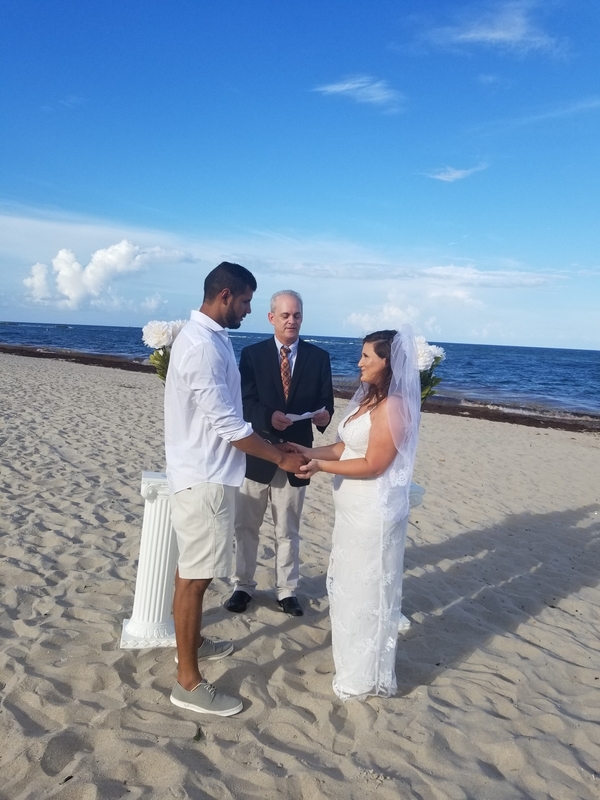 This is where Ocean Ceremonies comes in and saves the day, or at least makes the day “official”. No wedding or elopement would be complete without there being an officiant present. 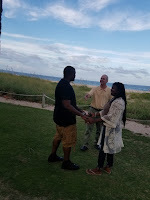 We also specialize in spur of the moment elopements here at Ocean Ceremonies. If you find yourselves in need of an officiant for you elopement then look no further. The only other thing that the couple would need is a marriage license. Getting a marriage license is easy, all you have to do is head on down to Broward County Courthouse. There is a $93.50 fee for the marriage license. Once you have everything you need we can officiate your marriage. For the couples that head on down to the courthouse and wish to get married on the same day, it is more than possible. Last minute weddings and elopements are our specialties. All you need to do is to give us a call. We are more than happy to travel to any venue that the couple has chosen to officiate the wedding or elopement. While you may have made plans and have fallen in love with the idea of getting married on the beach, there are some things to take into consideration and have arranged properly, even with little time. Making sure you have the right officiant there by your side to make your wedding or elopement day more beautiful is very important.